Featuring information and pictures about attractions and events across the county, this blog aims to challenge Essex stereotypes. I've lived here for over four decades and loving the diversity and character of Essex, wouldn't want to call anywhere else home. I hope you'll feel inspired to visit and of course, if you have any suggestions for places I should feature, please do leave a comment. Unauthorised use and/or duplication of this material without express and written permission from this blog’s author is strictly prohibited. Paycocke’s House and Garden is a National Trust property located on the outskirts of Coggeshall, about ten miles west of Colchester and within easy reach of both the A12 and the A120. It was built around 1500 for the Paycocke family. 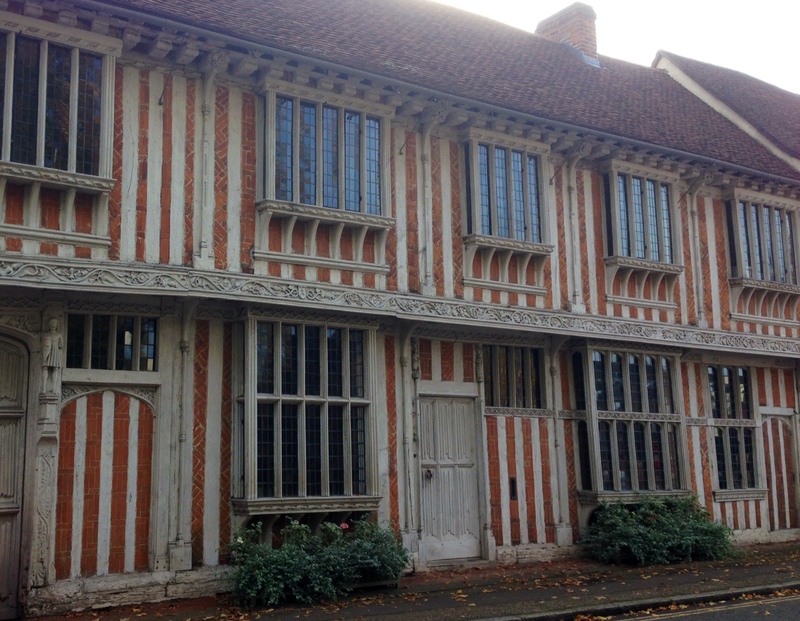 Thomas Paycocke had made a good living from the cloth trade which flourished across East Anglia at that time. Thomas lived there with his wife, and their initials feature in the wood carvings that can be found in the house. It’s likely that sheep were kept on the premises, their wool used to make the cloth whose sale kept the Paycockes in such luxury. The wagons would have passed through the oak gateway that can still be seen today. In a town packed with historic buildings, Paycocke’s stands out. 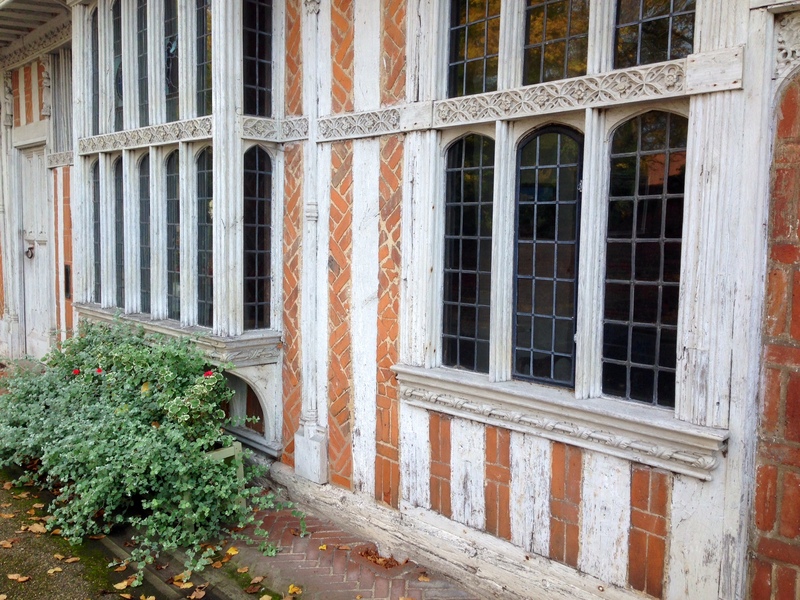 The ornate carvings that feature in the timber frame plus the patterns in the brickwork make this a very special building. Inside, the National Trust have done a commendable job in presenting rooms with historic furnishings since taking over the running of the house in 1924.